An informal survey of 58 Red Sox players invited to spring training last year found 21 who acknowledged using smokeless tobacco. Fenway Park is steeped in tradition, but one controversial piece may soon be history — the wads of smokeless tobacco stuffed into players’ bulging cheeks or tucked under their lips. Mayor Martin J. Walsh on Wednesday is expected to announce plans to prohibit use of the smokeless products at the city’s baseball parks and other professional and amateur sports venues. Walsh said he will file an ordinance with the City Council next week that would impose the ban starting April 1, 2016. If the plan is adopted, Boston would follow San Francisco, the first US city to pass a ban on smokeless products at ballparks. San Francisco’s prohibition starts in January, and leaders in Los Angeles are considering a similar proposal. An informal survey of 58 Red Sox players invited to spring training last year found 21 who acknowledged using smokeless tobacco. 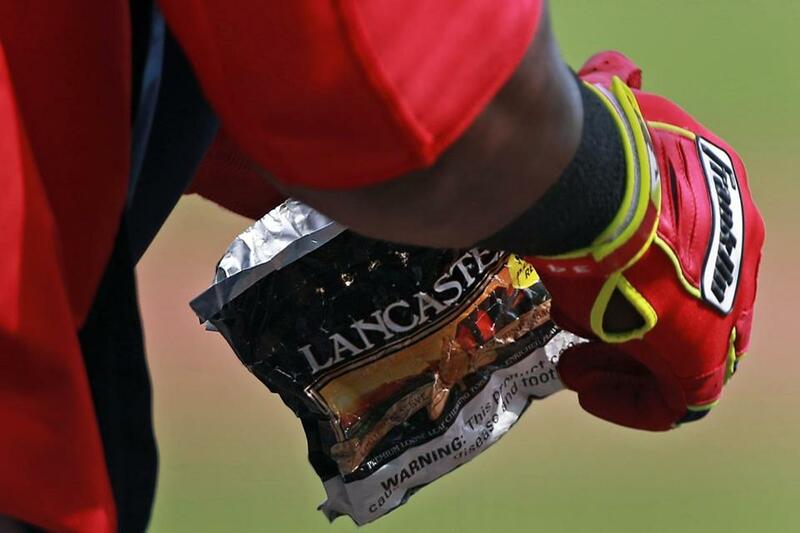 As part of the effort to discourage use, the team provides alternatives to players, including a variety of flavors of bubble gum and tubs of sunflower seeds in the clubhouse. A proposed city ordinance would eliminate the use of tobacco products at baseball venues and athletic fields, including Fenway Park. Walsh’s ordinance would ban smokeless tobacco or any other tobacco product at event sites for professional, collegiate, high school, or organized amateur sporting events, including baseball, softball, football, basketball, hockey, and any other event involving a game or athletic competition organized by a league or association. Event organizers would be responsible for overseeing compliance with the ordinance, and violators would be fined $250 per offense, according to the mayor’s office. The campaign to ban smokeless products, which have been linked to oral and digestive cancers and gum ailments, is the latest frontier in a decades-long battle to loosen tobacco’s grip on the nation, particularly among young people. While cigarette smoking in the United States has declined, smokeless tobacco use among young people has persisted. And a 2013 survey of Boston high school students indicated the numbers using chewing tobacco, snuff, or dip, a finely ground moistened product, on school property was actually climbing. Statewide, data from the Department of Public Health show that about 7 percent of youths say they used chewing tobacco or other smokeless products within the past month. 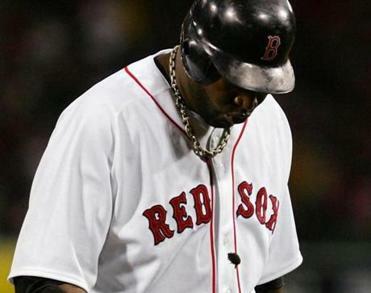 Many health specialists attribute that trend to teens, particularly young men, emulating baseball stars, such as Red Sox slugger David Ortiz and former Sox pitcher Curt Schilling, who revealed last year that he was treated for oral cancer, which he linked to years of using smokeless tobacco. Schilling, who is expected to attend the mayor’s announcement at Joe Moakley Park, said he supports the prohibition on chewing tobacco. A consortium of health groups lobbied unsuccessfully in 2011 to rid baseball of smokeless tobacco, as the league negotiated a new labor agreement with its players union. That agreement included some limits, but the union opted not to ban tobacco entirely. Players can’t carry tobacco packages in their uniform pockets, and tobacco use during televised interviews is prohibited. The health groups took a second crack at the baseball players union, asking it to ban smokeless tobacco after Schilling disclosed his cancer last year, following the death of baseball Hall of Famer Tony Gwynn from salivary gland cancer attributed to chewing tobacco use. When that failed, the consortium devised a new strategy, bringing its fight to each major league city, with San Francisco the first stop. “Major League Baseball players have given the tobacco industry hundreds of thousands of dollars of free advertising, because everyone wants to be just like their heroes on the field,” said Matthew Myers, president of the Campaign for Tobacco-Free Kids. To show the enduring relationship between tobacco and baseball, Myers points to a half-page advertisement in the Seattle Post-Intelligencer from October 1933, after the New York Giants won the World Series. The ad extolled the health benefits of cigarette smoking, stating that 21 of 23 Giants’ players smoked Camel cigarettes, and concluding that it takes “healthy nerves” to win the World Series.